Home / Mutual Funds & ETFs / Fidelity’s No-Fee Index Funds — Are They Worth it? Fidelity Investments rocked the investment world last August with its bombshell offer of zero-fee index funds. In the race to the management fee bottom, Fidelity changed the game. But, there’s more to this move than meets the eye. Fidelity offers three zero management expense ratio funds and many zero minimum investment amount funds. Fidelity ZERO Large Cap Index (NASDAQ:FNILX) targets the returns of the large-cap U.S. equity market. The fund has no minimum investment requirement, unlike competitor Vanguard. The fund does not charge a fund management fee. Fidelity ZERO Total Market Index (NASDAQ:FZROX) seeks to provide returns commensurate with the total U.S. stock market. This fund also has no minimum investment requirement or fund management fees. The third no-management-fee fund is Fidelity ZERO International Index (NASDAQ:FZILX). This fund seeks to replicate the returns of both developed and developing international stocks. As is the case with the other two ZERO funds, this one also has no management fees or investment minimums. Large cap-focused FNILX holds names such as Apple (NASDAQ:AAPL), Berkshire Hathaway (NYSE:BRK-B) and Johnson & Johnson (NYSE:JNJ) among the portfolio’s top five positions, as of Dec. 31. The 506-stock fund is up 11.94% in 2019, compared to the S&P 500 index‘s 11.4% gain. In contrast, FZROX holds a much larger range of equities, some 2,500, in its portfolio. The fund’s value has increased 12.64% this year. FZILX, with its international focus, has a portfolio that’s heavy in financial and industrials stocks, with those two sectors making up a combined 32.24% of its 2,295 holdings. The top 10 holdings include HSBC Holdings PLC and Alibaba (NYSE:BABA). Developed markets stocks accounted for about 70% of the portfolio, while emerging markets represented 23% of the holdings. The fund is up 10.15% year to date. How Can Fidelity Afford to Offer Zero Management Fee Funds? It’s just common sense that if there’s zero management fee, then there’s no way to make money. Or is there? Sometimes the goal isn’t solely to make money. Fidelity can build a relationship with valuable younger investors, who may ultimately invest in other, more lucrative Fidelity funds and products. Nobel economics laureate Richard Thaler and his co-author Cass Sunstein write in Nudge: Improving Decisions About Health, Wealth, and Happiness about how inertia keeps most people from acting. So, once these young investors are in the Fidelity system, it’s likely that they’ll remain. Consider these Fidelity No Fee Funds like a loss leader. The grocery offers a discounted item — such as a gallon of milk — to get you in the store. Once you’re in, it’s likely you’ll buy other items with higher margins and net a profit for the grocery store. Are Fidelity’s Zero-Fee Funds Good Investments? Fees are important, but so is performance. There are a sea of index-mimicking large-cap U.S., total market U.S., and international stock funds. Most benchmark their returns against well-known gauges like the S&P 500. To keep costs down, Fidelity is avoiding the typical licensing fee for a common index fund benchmark. Instead the firm created their own benchmarks — The Fidelity U.S. Total Investable Market index and others. But the real question is performance. You can invest in the Vanguard Total Stock Market ETF (NYSEArca:VTI) for 0.04% or 40 cents annually per $1,000 invested. This tiny expense ratio would be worth it if the Vanguard fund outperforms Fidelity’s. So, before jumping into these new free index funds, wait until performance information is out. Then if returns are comparable with other low-fee index funds, by all means, go for the Fidelity funds. Before you jump in with both feet and gobble up these enticing zero-fee index funds, think about the tax consequences. If you need to sell other assets in order to purchase the Fidelity funds, be aware of your cost basis. If you incur taxable gains after selling existing assets to free up capital for the new purchases, it might not be worth it. For example, if you have a specific percentage of your assets in VTI with a 40% gain, then you’ll have to pay taxes on that gain in the year that you sell. And, if you sell existing assets for a loss, before deploying the proceeds in a Fidelity zero-fee fund, review the wash sale rules. You must wait 30 days after selling an asset for a loss before buying a similar asset. So, don’t sell VTI for a loss and turn around and buy Fidelity ZERO Total Market Index fund, because the loss will likely be denied, and you’ll have to add the loss to the cost of the new fund purchase. Fidelity’s New Zero-Fee Funds Worth it? It depends. If returns are comparable or better to similar index funds, then sure, buy in. Just remain aware of the tax implications. Today, investment fees have declined so much that it’s easy to keep costs down when investing passively in index funds. Even managed accounts like the FidelityGo robo-advisor option allow investors to grow their wealth without forking over huge fund management fees. 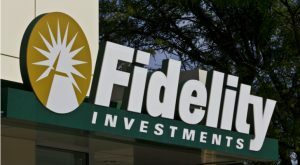 Article printed from InvestorPlace Media, https://investorplace.com/2019/02/fidelitys-no-fee-index-funds-are-they-worth-it/.